When Judy Faulkner launched Epic Systems from a Wisconsin basement in the late ‘70s, she had no idea the Electronic Healthcare company would become the healthcare powerhouse it has grown into today. When Judy Faulkner launched Epic Systems from a Wisconsin basement in 1979, the medical software company was worth about $70,000. 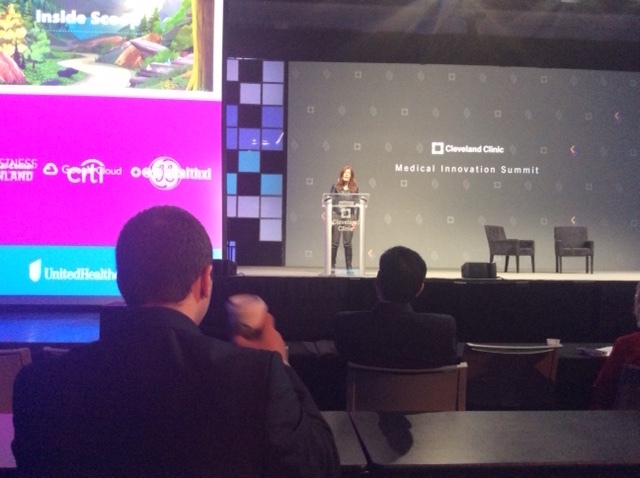 Speaking at the Cleveland Clinic Medical Innovation Summit, Faulkner told the audience about the firm's "Epic" journey. According to Forbes, Faulkner has come a long way since founding the company. The CEO now has a net worth of about $3.5 billion and is the third richest self-made woman on Forbes' list. Epic specializes in electronic health records and had sales of $2.7 billion in 2017. “When we started, we had about one-and a-half people now we have about 10,000,” Faulkner told the audience. But if you ask Faulkner, she never could have imagined how big her company eventually become. A programmer through and through, Faulkner has developed a company that has not only remained private since its inception, but it has also never made an acquisition or relied on venture capital. She told the audience because she was a programmer, her mindset led her to develop Epic differently than other companies in the space. Faulkner’s keynote speech was well-received – so much so that she was trending on social media Tuesday. It was one of the highlights of the Innovation Summit for sure. During a short interview with MD+DI, Faulkner gave some advice to up and coming healthcare entrepreneurs.